Born January 1, 1877 in Bucharest, Romania, to French parents, Gaston C. Lance was orphaned at the age of twelve. Educated in Paris, France, Lance lacked a formal architectural degree. Instead he gained valuable on-the-job experience through travel and a variety of jobs. Reportedly, early on he worked as store clerk in the day and studied art at night. A true renaissance man, Lance traveled around Europe and at various times worked as a blacksmith, machinist, draftsman, printer, French teacher, newspaper man, carpenter and auto mechanic. All the while on the side he found time to study architecture and learned several languages. Lance moved to the Pacific Northwest in 1906, settling in Seattle. He first worked at the Morrell Artistic Foundry, where he worked on the statue of Chief Seattle. Reportedly he designed the Chinese pavilion for the Alaska, Yukon & Pacific Exposition. After the fair he decided to stay and raised chickens on a farm in Lakebay. On the side he designed ships, and opened a carpentry shop in Tacoma. His skills and talents were recognized by H.C. Weaver who convinced Lance to take a job as Art Director for his newly organized film company, Weaver Productions. Under Lance’s direction, the production company built a large production stage (105’ x 180’ with 52’ high ceiling) on 5.5 acre plot near Titlow Beach in 1924. At the time, the facility, a $50,000 investment, was the third-largest freestanding film production space in the United States. After the studio closed in 1928, Lance turned down several offers to work in Hollywood, and instead to took a job with Tacoma architect, Ambrose J. Russell. Working first as a draftsmen, Russell quickly recognized the skill of Lance and made him a partner in 1930. Before joining Russell, Lance had designed several period revival homes for Tacoma’s upper crust since 1922. Projects include homes for H.C. Harmany; H. Gonyea; R. Barlow; A.C Sturley (1928); R. Kraus; and Miss Lou Johnson (1927); and the Spanish Colonial Revival style Empress Theater in Gig Harbor (1925). Reportedly he also provided home plans for the City Lumber Company and the Reliance Lumber Company. For a short time Russell and Lance were joined by architect A. Gordon Lumm (1931-32). After Lumm left the firm, they took on a new partner, Irwin E. Muri (1936). 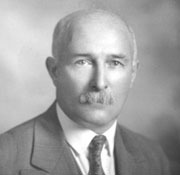 Russell passed away in 1938, and Lance & Muri took on a new partner, John E. McGuire. Together Lance, McGuire & Muri produced a variety of projects in the Tacoma area. Notable designs include the Teamsters & Chauffeurs Union Hall (1941); Sundgren House (1949); Crawford’s Sea Grill Restaurant (1946); West Coast Grocery (1946); Visa the Manor Apartments (1951); and Zion Evangelical Lutheran Church (1953) all in Tacoma; and Saint Martin of Tours Catholic Church (1947) in Fife. Lance retired in 1961 and passed away in Tacoma on April 6, 1964 at the age of 87.